Physical Therapy School is great at teaching techniques you need in order to be a competent general Physical Therapist upon board exams and graduation. The skills and knowledge we learn in PT school are vitally important to the treatment of patients. However, other crucial components to a successful career are often overlooked. After experiencing burnout on one of my clinical rotations, I knew there had to be more to this career. The 10 tips below are a few topics where the gap can be filled. You are a Doctor of Physical Therapy, so act like it. Physical therapy is the only doctoral profession that rely on other doctors for patients and income. Since the profession has been working so hard for direct access, we might as well use it. Work to build symbiotic relationships with other healthcare professionals where you help them just as much as they help you. First and foremost, physical therapy, like any other profession, is a business. If you understand the insurance and the business side of PT, you can better negotiate your potential salary. Do you know the difference between flat fee vs fee for service? Blue Cross vs. Tri-care? Co-Pay vs Co-insurance? Charge-per-unit vs reimbursement? Does the company work as a PT/PTA team? What is the expected collection rate from insurance? If you have the knowledge of how money is made and allocated, the wool cannot be pulled over your eyes and you can properly compensated. 2. Be Humble: We are new graduates and have limited knowledge and experience. Employers know that and that's OK. Communicate your strengths but be interested and eager to learn. 3. Think about what else you can offer besides your DPT degree, and highlight those points in your interview: What you know determines what you get paid. You will earn more money if you bring something of value to the table. Do you understand insurance and the business of PT? Do you have something you can bring right away that can grow their business, like an email list of potential patients? A social media following? Personal training or nutrition certification? Knowledge is power, but knowledge is also money. If you understand things like this, you will stand out and separate yourself from other candidates interviewing for the same position. 1. What are their productivity standards? 2. Can they help you reach your goals? 3. Where do they see the business going in 12 months and is there room for advancement in the company in the same time frame? 4. What services are offered besides PT? 5. What is the average co-pay and co-insurance and what is your expected collection rate from insurance? 6. What are the expected rates per visit at this clinic? Loans are REAL. You don't deserve to get paid a measly 60k/year and be in debt for the rest of your life. Facing this reality and not ignoring it is the first step to conquer student loans. Being frugal while in school and setting up a repayment plan can put you on the right track to being debt free as soon as possible. Will Butler, a Physical Therapist and Financial Consultant, gives experts advice in regarding student loans, business, and personal finances that is of vital importance to the success of us all. Honestly, the public doesn't really know what we do. At times, it is even hard for us to agree on what we do. Marketing is a way to inform the public of how we can serve them. There are people walking past us everyday with pain that can benefit from our services and it is our responsibility to help them. Marketing is especially important if you're interested in opening a cash-based clinic since patients will not be funneled in to you like traditional PT clinics. For those of you who think business and marketing is unethical and money-hungry, think about this: more people will live a more active, healthy, and pain-free life because of the information you've provided them through marketing. First, we do physical therapy, not insurance therapy. Over time, many therapists start to look at patients through their insurance, almost forming a prejudice against them and greatly altering their care. Like most of you, I went into physical therapy to walk with patients through a transformation. In order to do this, you cannot rely solely on your clinical skills. We think patients will value us for our GPA or clinical skills because that is what we value and invested in, but that is simply not the case. The patients' experience is more important than your clinical experience. Nurture your patients; treat them like your mom or dad. Next to nursing, we arguably spend the most time with our patients and get to know them the best. Intently listening, understanding, and building trust with patients will give them a new experience in healthcare and give you purpose in your profession. Now that you have provided rehab, built the trust and friendship--your patients are looking for more. We should take the insurance glasses off and offer beyond what insurance cover. Paul Gough, owner of 4 thriving cash-based PT clinics in the UK, says this, "People will pay $500 for a new TV but not for PT because they do not understand the value of what you provide." 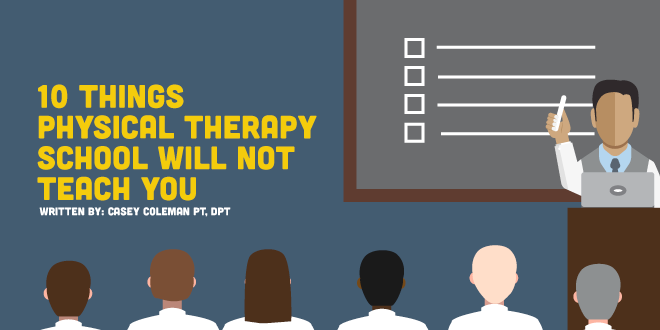 PTs went to school for too long and know too much not to treat patients past traditional PT. We are in a perfect position to provide online wellness coaching, nutrition, fitness, and massage amenities to clients to enhance their experience and bring in more revenue. Some of you may be already experiencing burnouts in school, clinicals, or just 3 years out of school. If that is the case, imagine how you will feel 10+ years out of school. To have long term success you need to find the demographic of who you want to serve. You will find your "Why? ", be motivated, and be held accountable by your fellow smart PTs in the course. Once decided on physical therapy as a career path, many have dreams to own their own clinic. However, many of those dreams fade when the task seems daunting and overwhelming. Questions arise such as, How will I attract patients? How will I buy equipment? 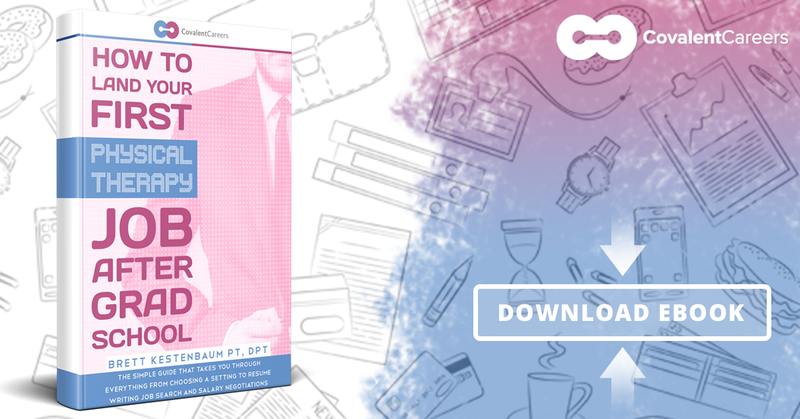 What is the legal paper work to start a small business? Once you have the right mentor like Greg Todd,who has successfully gone through every step and has lived through every question you have, you'll feel more confident about achieving your dreams. 1 credit hour can cost $600-700! Make sure you fill the gap that PT school leaves and invest in your future on what really matters. Just as you have invested in PT school to acquire clinical skills take those skills to the next level and invest in learning the business. PS... If you want to learn more about any of the specific topics mentioned leave us a comment and we will create a resource on the subject to go over exactly what you're curious about!